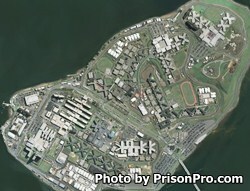 Robert N. Davoren Complex is part of Rikers Island and located in East Elmhurst New York. This facility houses both adolescent males (aged 16-17) and adult males. Adolescents are housed separately from the adults. Inmates are incarcerated in dormitories, and cells. The current capacity of Robert N. Davoren Complex is 2,238 male inmates. Offenders housed at Robert N.Davoren Complex are given three meals per day, clothing, and basic medical services. Most inmates are awaiting trial for a crime they committed. Additionally, inmates housed here will be incarcerated at this facility no longer than one year. Because of the short term offenders are usually at this institution programs are very limited.